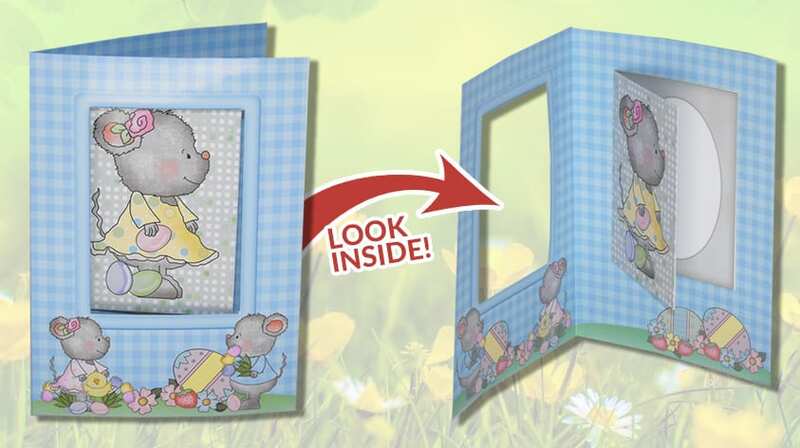 If you’re looking for a cute Easter handmade card to make, then you don’t need to look any further than this adorable Easter Mice Card-in-a-Card! 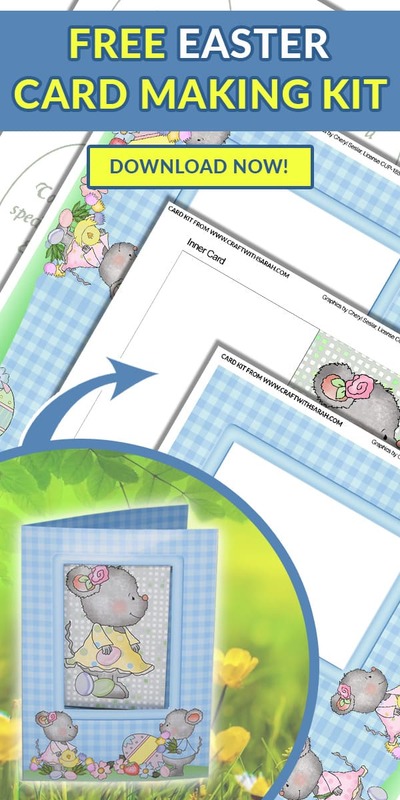 This free printable card kit is just one of many Easter card making projects available on this website. 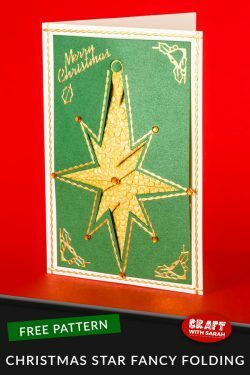 The card kit contains four sheets which are printed and then easily assembled into a stunning and unusual handmade card. 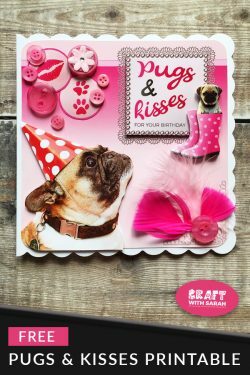 This is a simple card making project that is suitable for children, teenagers and adults to make! I first created the concept for Card-in-a-cards back in 2011. 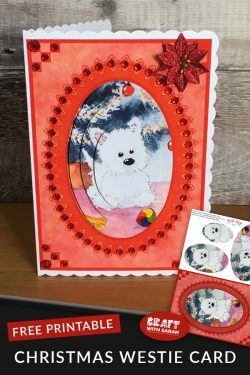 I uploaded a collection of different designs onto Craftsuprint and they quickly became on of my most popular card making kits at that time. “Card in a card” designs feature a small card inside a larger one. 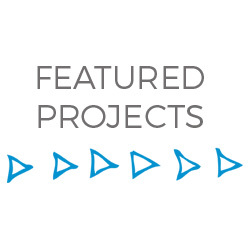 This means that your recipient gets to open TWO cards instead of one – amazing! The small card can be seen through the front of the large card as there is an aperture window. Your written greetings to the recipient go inside the small card. The great thing about “card in a cards” is that there is no white space anywhere on the card – everything is patterned, even the back! “Card in a cards” are very simple to make. Full instructions are included in the kit. 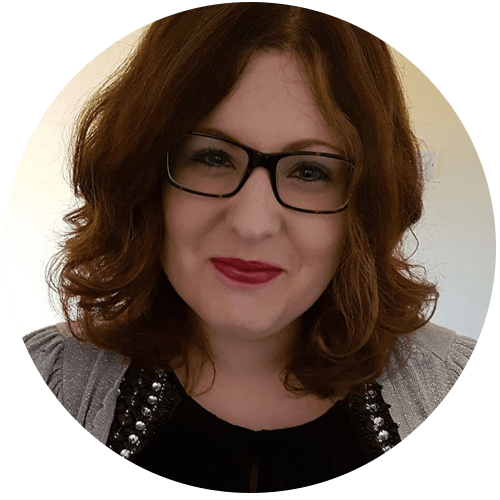 First, you need to download the free kit using the form at the bottom of the page, or by visiting my library of free card making printables. Here are some step-by-step instructions on how to make a card-in-a-card. Full photographic instructions are included when you download the kit. Print outside.jpg on one side of a piece of photo paper or card, and then turn the paper over and put it back into your printer and print inside.jpg so that it goes on the other side of the paper and you have a double-sided print.I print my craft sheets onto Crafty Bob Glossy Paper. This is a special type of paper designed especially for greetings cards and crafts. I love this paper because it dries instantly and is smudge-proof straight after printing, meaning that I can start using the printed sheet straight away. Cut around the edge of the card, and then cut out the aperture on the front (inside left) of the card to create a “window” that lets you view right through to the back of the design. Do NOT cut out the white rectangle on the inside-right of the card. Take the sheet called inner card.jpg and cut out the Inner Card and Inner Card Insert. Fold both of these down the middle and then stick Inner Card Insert inside Inner Card to create a standalone teeny-tiny greetings card. Stick your tiny greetings card to the white rectangle inside your main card, and that is your Card-in-a-card completed! 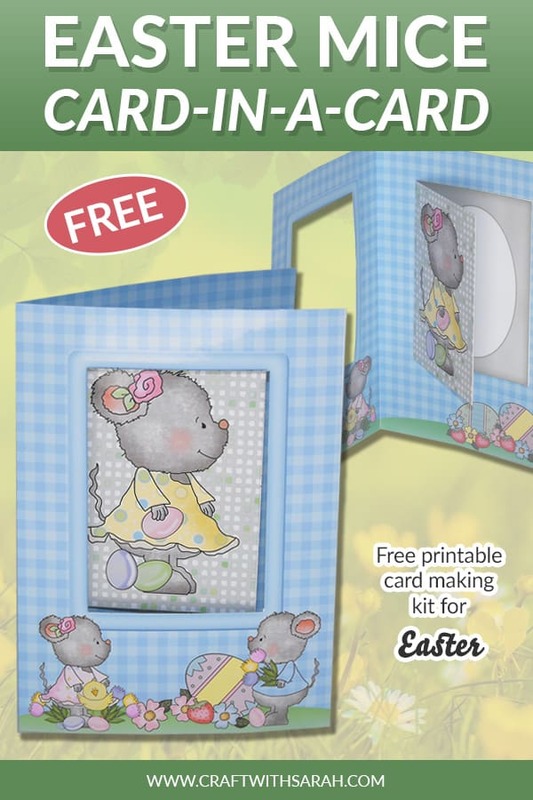 Use the form below to sign up to my Freebie library and get your free Easter mice card-in-a-card card making kit.